The minister for Finance, Paschal Donohoe, has announced €2.3 billion for housing programmes. 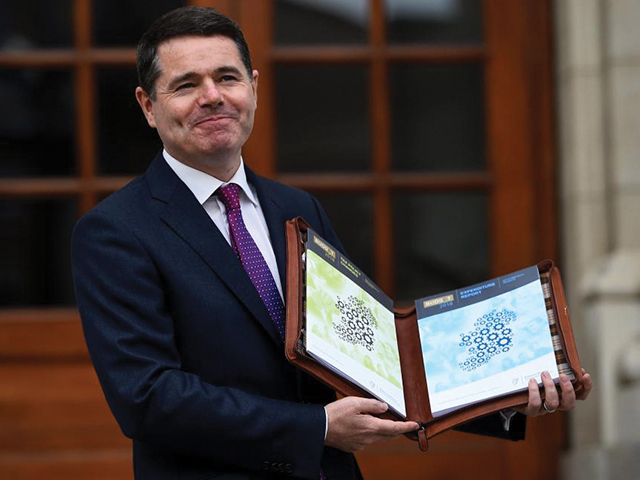 Minister Paschal Donohoe announced a €47.5million increase in funding for education in this year’s budget. This amounts to a total of €10 billion for the Department of Education and Skills, a 5.8 per cent increase on last year’s budget allocation. The investment comes following the rate increase in the National Training Fund to 0.8 per cent which the Minister said will give a “central role” to employers in developing education. The government also announced that a further €310 million would be made available over the next three years to improve infrastructure within the sector. The news was welcomed by the Union of Students in Ireland; however, the budget still wasn’t as promising for students as was previously hoped. The government failed to announce a new funding model in regards to the student loans scheme that was previously discussed. The USI called on the government prior to the Budget to eliminate the introduction of income-contingent loan schemes and to reduce the Student Contribution Charge by at least €250. They also looked for an increase in funding for the SUSI grant following previous cuts. Speaking to The College View, USI Vice President for the Dublin Region, Aisling Cusack, said that the Government is disregarding students. “The Government have failed to make Ireland a country for young people and students” said Cusack. Students were also impacted in other sectors throughout the budget. Those who hold medical card will reap the benefits of the 50 cent reduction to prescription medicine for medical card holders. The introduction of a sugar tax is also set to impact students with a rate of 30c per litre on drinks with over 8g of sugar per 100mls. The cost of cigarettes was increased by 50c sending the price up to €12 which will also affect student smokers. An additional 800 Gardaí will be recruited with a further 500 civilian staff coming into the force creating more jobs for young people. Students were also satisfied with the announcement of the expansion of apprenticeships by over 6,000 and 10 new apprenticeship schemes. The €35 million euro which was allocated to mental health services is also a positive step for students as services will be more accessible and effective. Speaking outside the Dáil after the Budget, USI President Michael Kerrigan said “It hasn’t been a budget for students. It hasn’t really been a budget for young people”.